We invite you to learn more about the VT-MIT program and its people through stories from our students and alumni, faculty perspectives, and industry insights. Professionals can improve their tech skills in a number of ways to remain relevant, regardless of industry. If you’re seeking a six-figure salary in healthcare without pursuing a doctorate-level education, the health IT role can get you there through a combination of technical, data and cybersecurity skills. Data is Jason Dominiczak's thing — his job, his life's work, and his plain-old, free-time fun. And the world may be a better place for it. As demand for artificial intelligence practitioners explodes, a new breed of IT expert is getting the master training needed to design and produce the algorithms behind the robots and smart computer systems. Recent security attacks have signaled the need for a new organizational culture that bridges cybersecurity and business operations. Here's how to make that happen. 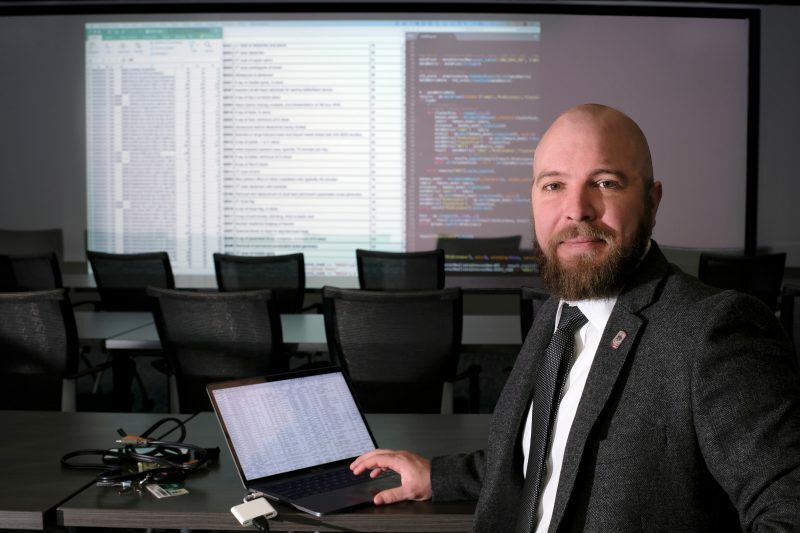 VT-MIT Professor Wade Baker discusses the need for cybersecurity professionals and the resources available for those pursuing this field. From identifying the right interventions for at-risk students to determining treatment plans for patients with cancer, decision support systems are key to tackling challenges and setting new strategy. See how. Careers in big data are booming. No surprise. But what is surprising is the new data scientist. These experts are coming from business as well as the computational sciences. Turns out, big data is a segment that requires all comers. Data breaches are costly — in revenue and reputation — and organizations are actively looking for talented professionals who can help protect their data stores. See what issues are keeping CIOs up at night and the career opportunities available in this growing field.